There’s been a lot of consolidation in the software-as-a-service (SaaS) market lately, and I think I know who’s to blame: Wimpy. You may remember that he’s the character in the Popeye cartoons famous for promising “I’ll gladly pay you on Tuesday for a hamburger today.” Stay with me and I’ll explain. The SaaS model makes it much easier and less expensive for companies to build new solutions. By leveraging resources available in the cloud and agile development techniques, it is usually takes much less money and less time to develop a new SaaS application than it took to build a traditional on-premise application. Forget about spending several million dollars over two or three years. I've seen companies with a handful of clever developers bring highly-functional products to market in a few months. But getting a functional product out the door is just the start. Once the solution is ready for market, there’s lots of difficult and expensive work still to be done - namely, acquiring and retaining customers. Look at any of the well-established SaaS firms and you’ll see that customer acquisition expenses far exceed product development expenses. According to financial statements of nine large SaaS companies, sales and marketing expenses average 44% of annual subscription revenues. By contrast, product development expenses average only 12% of annual subscription revenues. 1. Bigger usually means deeper pockets. Here’s where the “Wimpy Effect” -“I will gladly pay you on Tuesday for a hamburger today” - applies. To acquire customers, SaaS providers have relatively large expenses for sales and marketing people and programs, and most important, these expenses are incurred up-front. But the payback occurs over the life of the subscription. Or as Wimpy might explain, "I'll gladly pay you over the next several years for lots of delicious sales and marketing today." 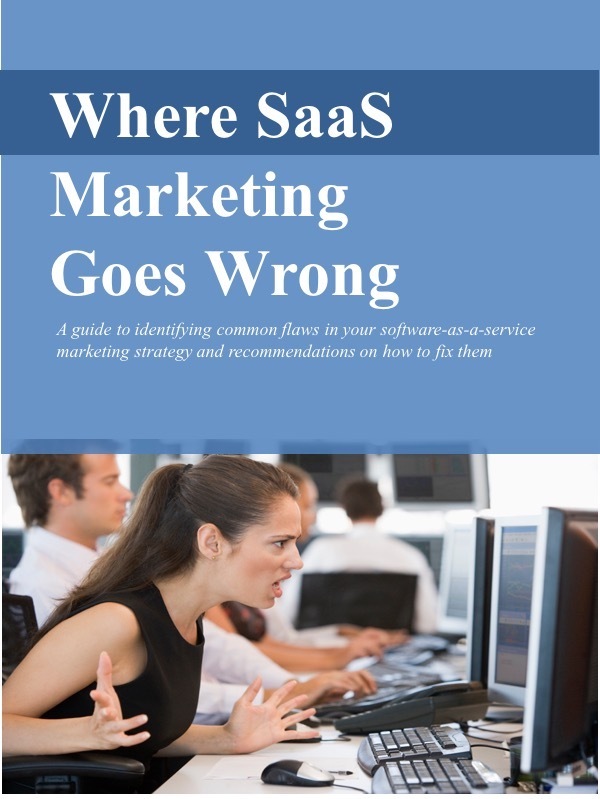 SaaS providers need to pay for sales and marketing now, while they’re waiting for revenue later. They need resources, notably cash, to bridge this gap. Larger companies with greater resources can usually cover a larger gap. They can wait longer for revenue and cash flow than smaller companies. 2. There are economies of scale. Even with effective inbound marketing and the availability of relatively low-cost vehicles like webinars, electronic newsletters, blogs and other social media outlets, marketing can be expensive. These new tools and techniques still require resources: people to set them up, develop content, assess impact, convert leads into qualified prospects into customers, etc. But it’s usually more cost-effective for larger companies to use these tools and techniques than small companies. Why? Because the marginal cost of reaching additional prospects can be low or even zero. The cost of preparing and sending an email newsletter to 10,000 people isn’t much higher than sending it to 100 people. Whether a business has thousands of “friends” or “followers” or only a dozen, the cost is virtually the same. What this means is that larger providers can spread the sales and marketing costs over a large base. In effect, they have a lower average customer acquisition cost. Low average customer acquisition cost/customer lifetime value is a formula for SaaS success. When customers purchase a SaaS solution, they’re not just buying a product; they’re buying a promise. They are entrusting the SaaS provider to deliver a reliable, high-value, frequently-enhanced solution over the life of the subscription. And because buyers are committing to a long-term relationship, they are particularly scrupulous in assessing the reputation and credibility of the SaaS provider. In general, buyers are more comfortable acquiring solutions and entering relationships with larger, more established, better financed providers. It may not be fair, but that’s how it goes. The economics of the SaaS business model and the advantages of size help explain the inclination toward consolidation in the SaaS market. We’ll continue to see plenty of small SaaS companies come to market, and some will get large enough, fast enough to go it alone. But as they try to grow and finance the cost of acquiring customers, many of these companies will find that it makes more sense for them to be part of a larger company, and they’ll get bought.